I have never seen a study that lowering wages has a positive effect on a community. I believe that the government should lead in producing the economic ecosystem of a community. 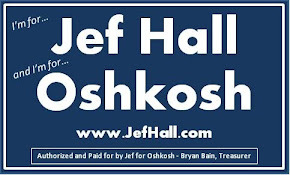 While the constraints put on us by the State of WI may force us to reduce wages, therefore effecting the overall economics of Oshkosh, I will not do that without exhausting all other possibilities.